There's nothing like having a slice of these Southern snack breads at any meeting or small gathering. 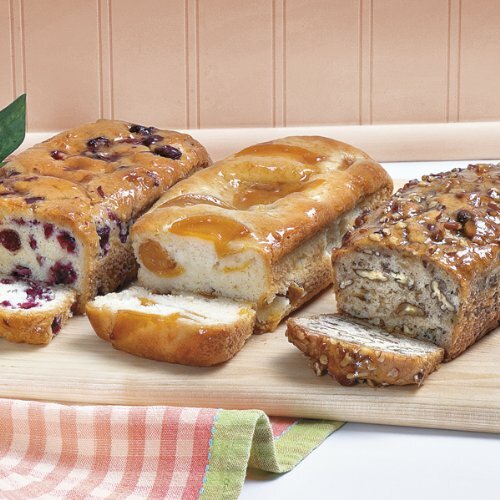 This delectable trio of Banana Nut Bread with Georgia Pecan pieces, Cranberry Bread, and sweet Georgia Peach Bread is sure to please. If you have any questions about this product by Savannah's Candy Kitchen, contact us by completing and submitting the form below. If you are looking for a specif part number, please include it with your message.